MILAN (AP) — Italian explorer Alex Bellini plans to travel down the world’s 10 most polluted rivers on makeshift rafts, tracing the routes of plastics that pollute the world’s oceans. Bellini said Thursday that he was inspired by a 2018 study by a German scientist that found 80% of plastic in the world’s oceans arrives from just 10 rivers. He began with a voyage down the Ganges River in India on a raft built from garbage last month and intends to complete journeys on all 10 on similarly constructed rafts by 2021, including the Yangtze, the Niger and the Mekong. His final stop will be the Great Pacific Ocean garbage patch. The 40-year-old spoke to The Associated Press on the sidelines of a One Oceans forum. 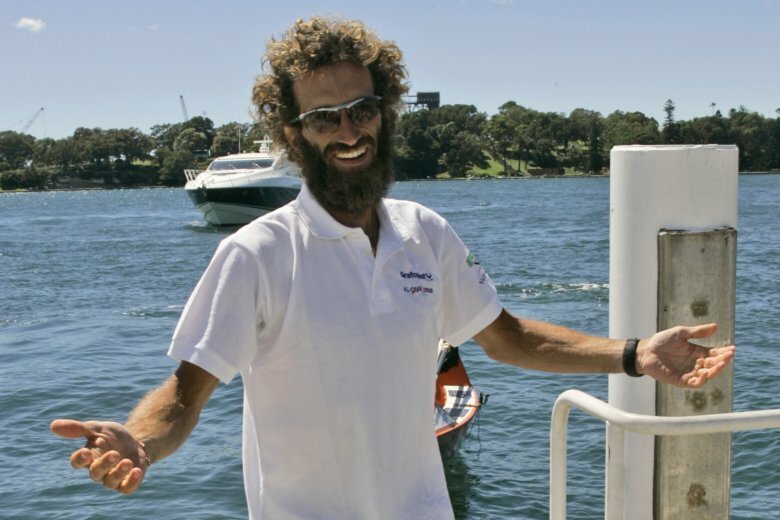 Bellini, who has rowed solo across two oceans for more than 35,000 kilometers (nearly 22,000 miles), said he became aware of pollution in the ocean while rowing from Peru to Australia in 2008. But he said he was surprised to learn that most plastics in the seas arrive by rivers and not from coastal areas. His new journeys are aimed at raising awareness about the source of ocean plastic, which according to the U.N. environment assembly is accumulating in oceans at a rate of 8 million tons a year. The damage to wildlife of ocean plastic was made clear with the death last month of a whale that beached on the northern coast of Sardinia in Italy with 22 kilograms (48.5 pounds) of plastic in its belly. Bellini is supported by the One Ocean Foundation, founded by the Yacht Club Costa Smeralda in Sardinia, with a mission to safeguard the seas. Closer to home, the foundation has issued a call to clean plastics and other trash that a recent drought has revealed in the Po River, Italy’s longest, which empties into the Adriatic Sea.